Available at FaMESHed for July - Our new Pupper Pool Party Pug Collection! Click the title or below to "Read more" and see the rest of this post. 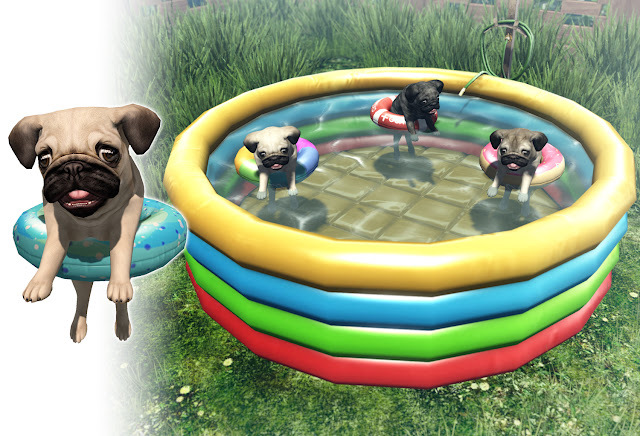 Available at our main store for Fifty Linden Friday! This little guy just wants to join in on the summer fun in his own special way. Set him out and watch him relax in his dust bath and sip water from his coconut. 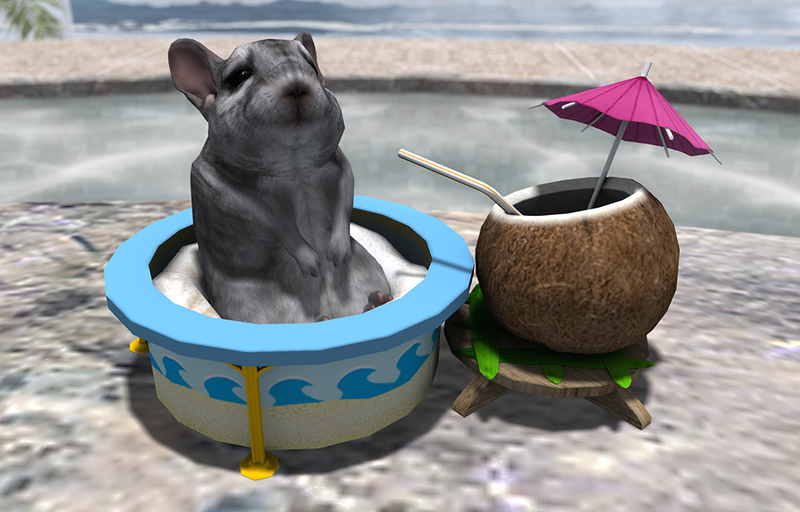 Get our new Chinchilla Beach Bath until July 1st for only L$50. 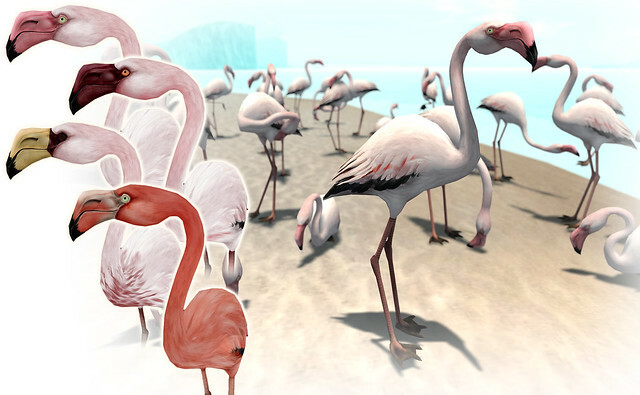 Available at Summerfest '17 on June 1st - our new Flamingo Collection! These adorable little kitty beds include texture change kittens and shark bed. You'll find it in the building on our main island, with the rest of our previous group gifts. 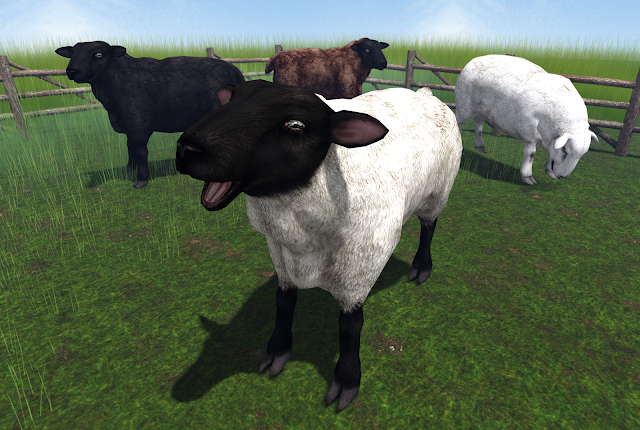 Available now at FaMESHed - our new Sheep Collection!